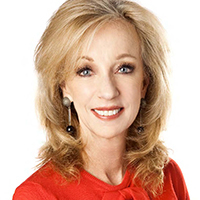 During two successful terms as Mayor of Las Vegas throughout the 1990s, Jan Jones Blackhurst saw the city crowned the fastest growing in the US, the number one place for entrepreneurs and the second best place to do business. In 1999 she joined casino operators Caesars as executive vice president of communications & government relations where she remains today, handling government relations, corporate communications, social responsibility and environmental sustainability. To name just one of many accolades, in 2011 Jones Blackhurst became the first woman to be presented with the Lifetime Achievement Award in Gaming Communications from the American Gaming Association.